The Mio Velo measures your heart rate from your wrist and sends it to other devices via both Bluetooth Smart 4.0 and ANT+. It can also take data from other ANT+ devices – a speed and cadence sensor, for example – and re-transmit it using Bluetooth Smart, allowing you to link ANT+ sensors to a non-ANT+ smartphone. 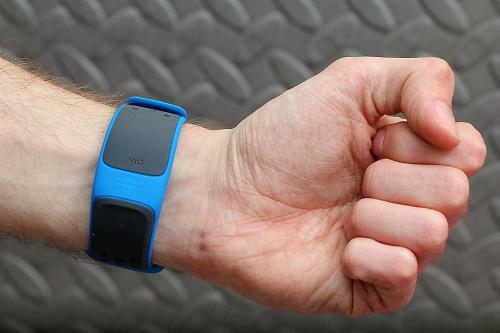 The Mio Velo comprises a silicone strap containing a 46mm x 25mm x 10mm working unit. Ours weighed just 35g. It takes your heart rate via LEDs and an 'electro-optical cell' that monitors the volume of blood under your skin. Mio boast a 0.99 correlation to electrocardiogram in laboratory testing. In other words, they claim that it is highly accurate. You strap the Mio Velo around your wrist (it fits wrists from 15cm to 21cm in circumference), just higher than where your watch is or would be. A flashing light lets you know that it's picking up your pulse. I've had no problems with getting the Velo to read and transmit heart rate. I found it as straightforward to use as a regular chest strap and accurate from the first ride, in all temperatures. The fact that it's a wrist-mounted device might be welcome to people who don't get on with chest straps. Plus, I used it equally successfully on each wrist, so you can swap from ride to ride if sensors trouble your skin, for example. I did experience some interference when transmitting data from the Velo to a Garmin Edge 500 computer during a group turbo session, but I've had no problems at all out on the road. The optical sensing takes quite a lot of power so you get only about eight hours of use before you need to recharge the lithium polymer battery via USB. As long as you're not out on a very, very long ride, that's probably not much of an issue. As mentioned, the Velo can send data via both Bluetooth Smart 4.0 and ANT+ so you can see your heart rate on a wide variety of different devices: bike computers, GPS watches and smartphone apps like Mio's own Go app, Strava, Endomondo, and so on. If you like, you can set five heart rate zones (they're customisable) on the Velo itself via the Mio Go app. A six-colour LED tells you which zone you're in, although I found it far easier to use zones on the Garmin (or whatever) because the wristband isn't always visible, especially in cold weather. In terms of measuring heart rate, I found using the Velo to be very similar to using a chest strap, just positioned in a different place. You strap it on, you pair it with whatever device you're using, and you forget about it. I wouldn't say it's any better or any worse than a chest strap, it's just different, although you might prefer it if you have an aversion to chest straps. It's water resistant to 30m, by the way, so it'll never be affected by bad weather. The Velo's other main trick is that it can collect data from ANT+ speed and cadence sensors and transmit it via Bluetooth Smart. That means it can act as a bridge from ANT+ sensors to fitness apps on an iPhone, for example, without the need to use an adaptor/key/dongle, or to a non-ANT+ training watch. It can't do this with ANT+ power devices, though. The issue there, apparently, is that popular power meter software (like TrainerRoad) doesn't support multiple sensors from one device. Is the Mio Velo worth the money? Well, a Bluetooth heart rate monitor would cost you from about £20 to £50 and an ANT+ dongle is about £32 to £50. This offers those two things in one so there's less to worry about, plus the fact that it's wrist mounted will be a draw for some people. Mio say: "Transform Your Smartphone into a Powerful Bike Computer. Water resistant up to 30m (3 ATM)"
It's a heart rate monitor for your wrist with the additional benefit of acting as a bridge between ANT+ speed and cadence sensors and non-ANT+ smartphones, computers and training watches. I've been using it for weeks with no issues at all in terms of accuracy. The way it works means it'll function better on some people than on others, but I've had zero problems with data reading or transmission. I don't see any reason why it wouldn't last the distance. The working parts are hidden beneath the silicone strap. It's a lot like wearing a watch. You'll barely feel it. It's probably only worth it if you want to use the heart rate monitor AND the ANT+ to Bluetooth Smart bridging functions. It does what is promised very well. It would be more useful if it could also take power information from an ANT+ device like a Garmin Vector system and transmit it to a smartphone app via Bluetooth. I found it comfortable and very easy to use. I'd like the ability to bridge from an ANT+ power meter to a non-ANT+ smartphone. Would you consider buying the product? Yes, if I wanted to use both the HRM and ANT+ to Bluetooth Smart bridging functions. Would you recommend the product to a friend? Yes, if they wanted to do the above. 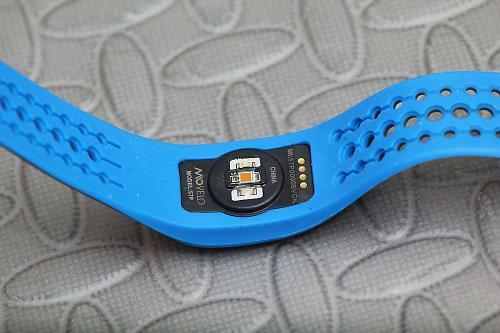 If you have the cash I would definitely recommend this for any athlete over a strap and it looks quite cool. As for battery life I fully charged it and only used it for rides and about 10 hours of use before it ran out. I've been using a Mio Alpha for the last couple of weeks and it has been great. Mio really seem to have got the heart rate sensing down well. I had a couple of drop offs compared to a chest strap when I was getting used to it but after finding the position/tightness that works for me it tracks perfectly so I have now abandoned the chest strap completely. Does it feedback battery status? I'd love to try something like this - my hairy chest makes the traditional HR strap hard to use at times - but jesus. More than 100 quid! That's just silly money.